Jewelbots hopes to encourage an interest in science and engineering in girls ages 9-14 through hands-on activities that are already being marketed to boys in the same age group. In the vein of other science-based toys for girls, Jewelbots is a toy that embraces femininity and pairs it with technology in a way that makes sense, and doesn’t feel overly contrived. The company’s Kickstarter page calls Jewelbots the “friendship bracelets for the iPhone era,” and they come in a wide variety of colors, including black and gray. 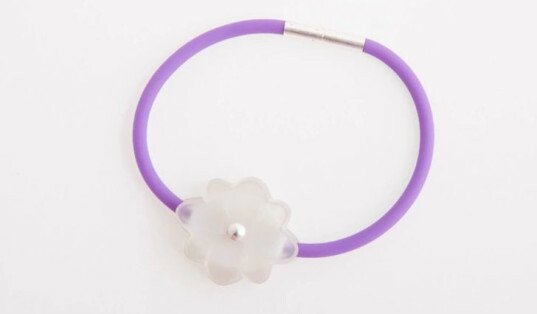 The jelly-like bracelets feature a translucent “flower” that communicates with a smartphone via Bluetooth. Girls can use the Jewelbots app to program the bracelets’ features, so no coding experience is required. This out-of-the-box functionality is intended to get girls immediately involved and excited about a new way to communicate with their friends, and spark their curiosity to learn more. Once they get the hang of it – and see how fun technology can be – the open-source platform can be paired with the Arduino IDE, which allows girls to learn actual code and customize the programming of their Jewelbots bracelets even further. Jewelbots hopes that, by empowering girls to find solutions that work for their lives, the bracelets can help break down gender roles and inspire girls to learn more about technology in general, but specifically about computers and coding. In addition to the Jewelbot Kickstarter campaign, which will run through August 4, the founders are hosting a “Take Your Daughter to Hack” day in Washington, D.C., on July 18. It’s one of several bicoastal events that encourage parents to get involved with their daughters (and sons!) by making wearable technology using Arduino Gemma and learning about HTML/CSS at the same time. Check out the Jewelbots website for more information on the hackathon. 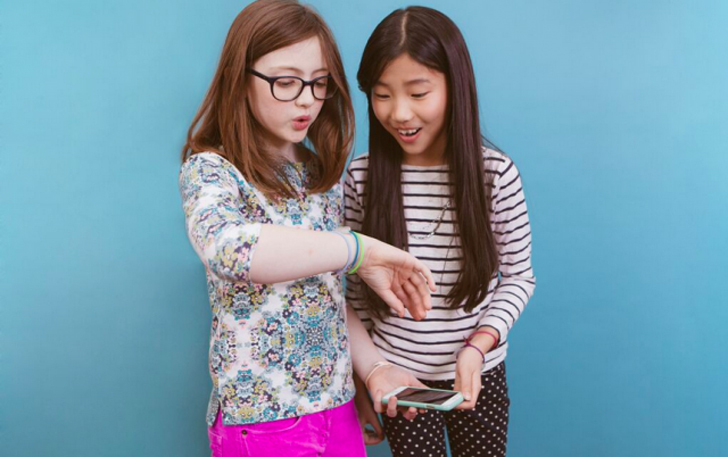 Jewelbots is a wearable, programmable bracelet for girls.